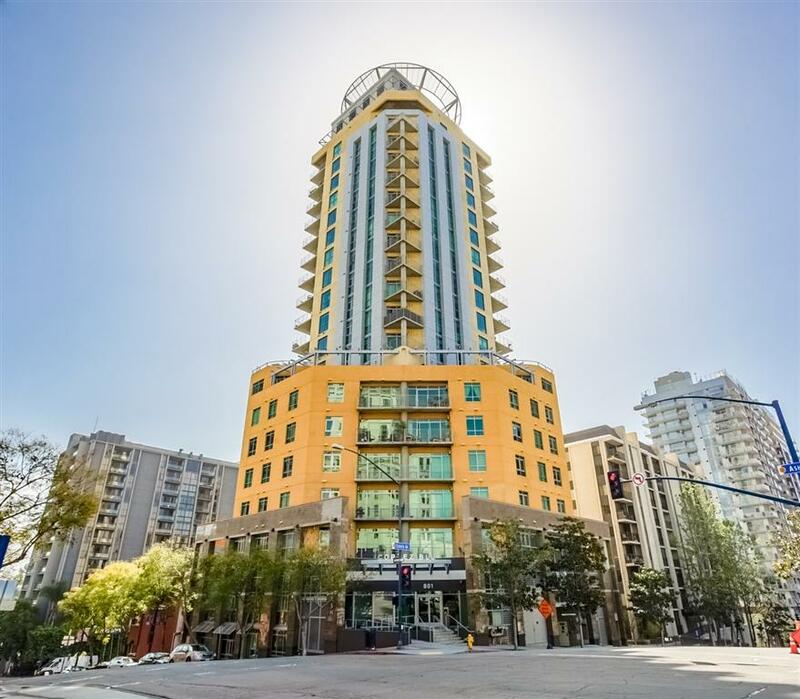 801 Ash St. #1403, San Diego, CA 92101 (#190014049) :: Neuman & Neuman Real Estate Inc.
Light and Spacious, this beautiful corner residence has dramatic views of the Coronado Bay, Balboa Park, sparkling city lights and serene sunrises. 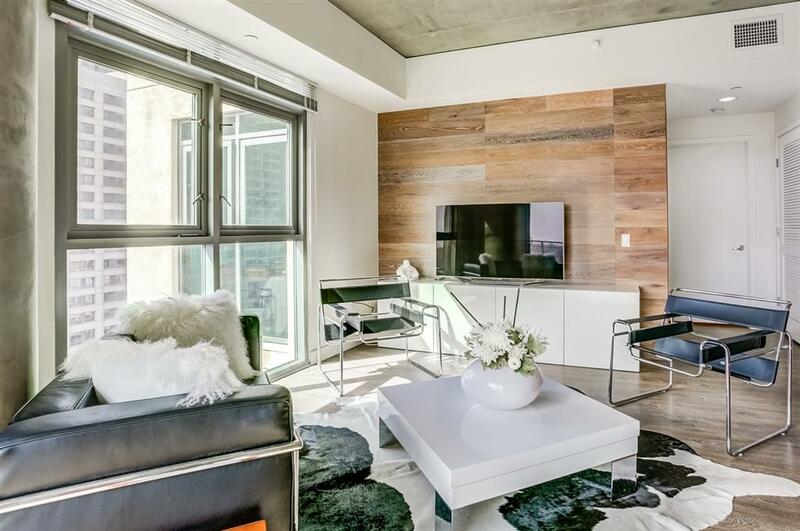 Enjoy the panorama from a chic and open living space featuring floor to ceiling windows, 9' high concrete ceilings, laminated wood floors, stainless appliances, granite countertops and balcony. The 2 BDR layout provides great privacy. Huge walk-in closet in MBR. 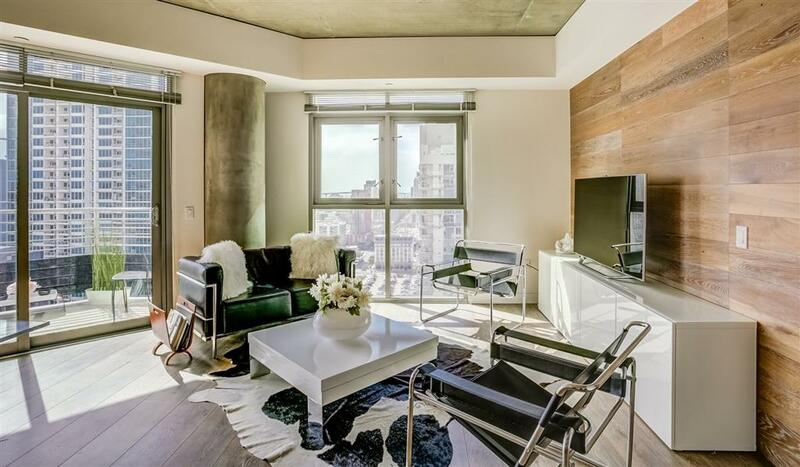 On the 14th Floor, it shares no common walls w/ any other unit. Extra storage unit also conveys. 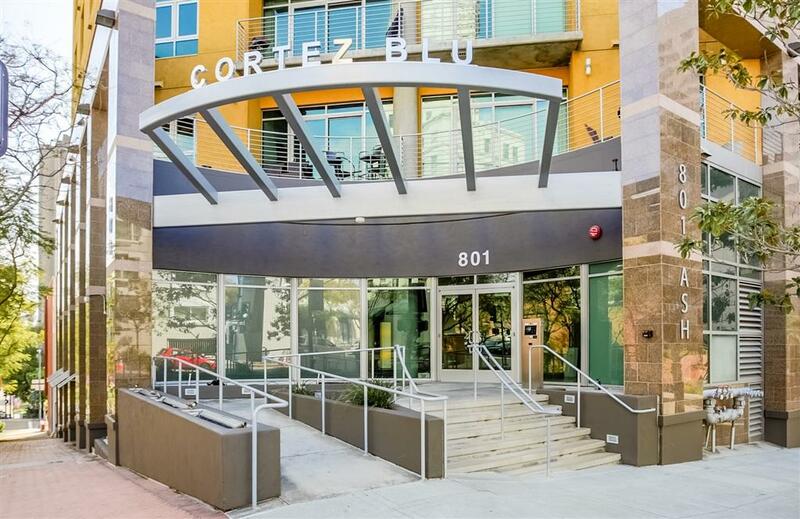 If you're looking for Downtown Living in a quiet, sophisticated setting, Cortez Blu is located atop Cortez Hill, an intimate neighborhood full of character, history, and style that overlooks busy Downtown with easy access to Petco Park, the train station, the airport, (UCSD Bus) and the major freeways. Additional parking thru the city - visit: http://www.sandiego.gov/parking/permits/respermit/index.shtml.